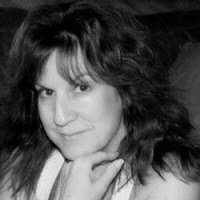 Today I'm delighted to welcome author Jennifer Chase to my blog. 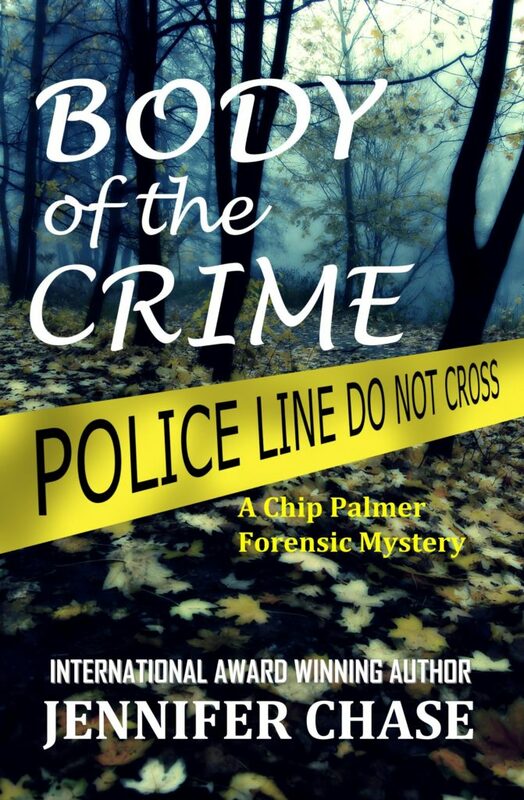 She's touring the internet with Pump-up-your-book... and with a Body of the Crime. But what body? What crime? And why? What leads a child to grow up and write a novel? Welcome to my blog Jennifer. Many of my early childhood memories involve all of the great books that I had the opportunity to read. I was a typical kid who loved to be outdoors whenever I could, but I loved my weekly visits to the local library. I would grab books, stack them high, and take them up to the librarian. They would be books about animals, adventures, mysteries, and anything else that grabbed my attention. I loved books! As I got a little bit older, my book choices were always about solving mysteries and going on great adventures. The Adventures of Pippi Longstocking, Nancy Drew Mysteries, and The Secret Garden definitely made a lasting impression on me. From that point, I read The Lion, The Witch, and The Wardrobe, The Hobbit, The Count of Monte Cristo, and many other timeless classics. I had always dreamed of one day writing a book of my own, and it was in the back of my mind as I ventured through the difficulties of life. So many thriller and suspense authors inspired and influenced me to write my first novel, such as Dean Koontz, Stephen King, Jeffrey Deaver, John Connelly, John Grisham, and many others. You could say that all of these experiences with books in my life paved the way for me to become an author. Reading at an early age and being read to have some amazing benefits for children and for the continuing development that will affect the rest of their lives. It has been established that just reading 20 minutes a day aloud to young children can help to strengthen relationships, promotes curiosity, encourages better listening and language skills, and overall helps to establish a strong reading foundation. Just by reading aloud together, a child’s reading skill can be mastered over time. “The magic of this process is the simplicity of action,” stated by The Children’s Reading Foundation. They also suggest making the reading time together an important and happy part of life. A child’s brain develops faster during the early years and acts like a sponge that soaks up information with enthusiasm and the willingness to learn. Build upon and nurture that wonderful gift of reading. It has been suggested that the best time for children to start learning to read is when they are very young, generally at the preschool level. · Build a new vocabulary through books, experiences, and interactions. · Observe others reading and enjoying books. · Recognize that words are made up of sounds. · Experience and pretend to read familiar books, poems, and alphabet books. · Enjoy and discuss a variety of books that are read aloud by others. I have to wonder that if I didn’t love books and reading at an early age if I would be so curious and enthusiastic about forensic science and criminal psychology. Thank you Jennifer. Like you, I was hooked on books from an early age (though it took me quite a while to learn to read). And I agree about laying a foundation for children - without words, how will they communicate? And without books, where will they find all those words? It's so cool to see how that curiosity led to your later academic pursuits, and to your fiction! I've enjoyed hosting you Jennifer. Sounds like a book I would really enjoy.